New Next Year! What we're adding for the 2019-2020 school year. Each year, the administration at Lutheran High starts looking towards next year to think through what we can add, expand, and improve to make our school even better equipped to serve students in the future. This year is no different. We are excited to share plans to expand all aspects of the school from athletic and academic to the physical building. College Prep Writing - Students will have the opportunity to work closely with the instructor to hone and refine their writing skills with an emphasis on producing college-level research and creative writing for the college classroom. Ceramics / 3D Sculpture II - This course will place a greater emphasis on wheel-built ceramics and various styles and techniques of the glazing process. Photography II - This course is a continuation of Photography where more advanced photography skills are learned and explored. Students will be given more challenging projects where they demonstrate higher level photography techniques. Modern World History - This course will include the decades from the 1950s to the present. Historical events will be thoroughly analyzed and substantial knowledge will be developed of social, cultural, political, economic, and military events relevant to the history of the United States. Access Assistant - Students with who have excelled in their studies (particularly math) will serve as peer tutors in the Access classroom to encourage, assist, and work closely with fellow students. Advanced Computer Programming - For students who have already been introduced to the world of computer programming, this course will more specifically explore relevant languages and further introduce students to vocational and practical applications for coding. Mandarin IV - This course is a continuation of the coursework accomplished in Mandarin III. Students will continue to use the target language in class for communication, reading, writing, translating, and presentation. Mineralogy - This course will begin with a study of minerals at the atomic level and continue with a study of igneous, sedimentary, and metamorphic rocks and their formation. A special focus will be given to Colorado's geology, including rock formation and mineral identification. Theater I - This course will provide a broad survey of the basic components of theater. 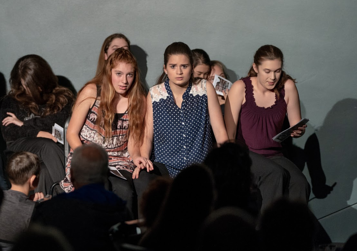 The course will examine plays, the history of theater as an art, acting, technical theater, theater's impact on society, and important practitioners in the field. Video Production - This project-based course develops career and communication skills in digital video production. Students will learn storytelling, capturing and editing video and audio, and finalizing and publishing content to a variety of formats. The music room is getting an expansion and update over the summer. The space will now house the whole performing arts program giving music and theatre a space to rehearse and continue to have classes. Initial plans are for improved acoustical treatments, dance friendly flooring, additional storage, and theatre lighting and sound. We will also be adding student bathrooms to the main level of the building, near the Performing Arts space. On the lower level, the temporary space that housed our weight room is also getting an update. Perhaps this next update isn't as glamorous as the others, but it's one our student body gets excited about. We are adding 75 additional student parking spots to our campus. As we continue to grow, we understand the desire of our community to keep class sizes small. One of our core values is to provide a highly relational environment for our students. This is a crucial part of who we are. We add highly talented teachers - or rock stars as we like to call them - at a faster pace than the growth of the school. To ensure this happens, we are adding four more teachers to our staff next fall. Plus, we will be adding additional resources and staffing in the College Guidance Department. With a growing enrollment, it is essential we continue to offer plenty of extracurricular opportunities for students. If a student wants to be involved, we want to provide them with the outlet. 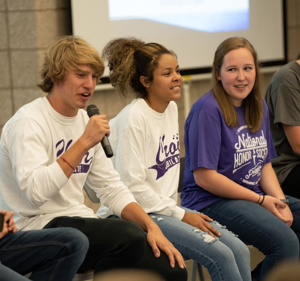 High school students who are involved in clubs or athletics outside the school day have better high school experiences, broaden their perspectives, and learn life skills. 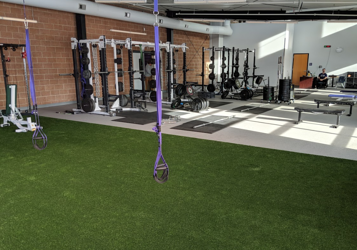 Besides the extensive list of club and athletic offerings we currently have, LuHi Athletics is aggressively exploring the addition of two new athletic programs. We have applied with CHSAA to offer both Softball and Wrestling in 2020-2021 school year. There is still a lot of work to be done for us to add these two new programs effectively. We are excited to have the goal in sight and will keep the community updated as the teams come to fruition. We are so thankful for the growing community God is blessing us with and we can't wait to continue to expand the ways we can serve you and your family!